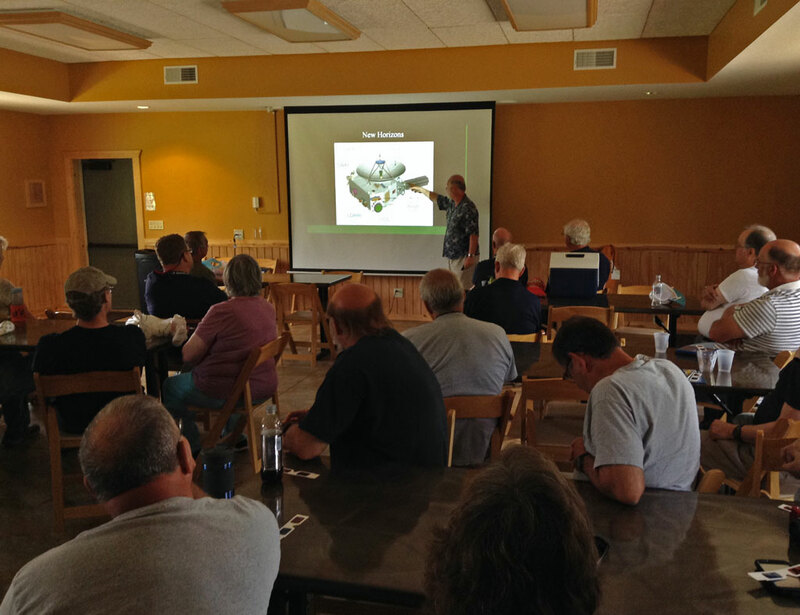 The 2015 OTAA Convention, hosted by the Cuyahoga Astronomical Association (CAA), was a friendly gathering featuring socializing, information, and hot weather. Members from area astronomy groups were in attendance, mixing with CAA membership at the Letha House Park Observatory site. Observatory Director and CSU Research Astronomer Jay Reynolds gave an up-to-date presentation on space mission results from DAWN (at asteroid Ceres), and New Horizons and its just-completed flyby of the Pluto-Charon system. After the lecture came a convivial cookout and potluck dinner which, in turn, was followed by the highly-anticipated annual door prize drawing. The hoped-for late-night star party was thwarted by clouds that moved in from the north. Spirits remained high, however; this is Northeastern Ohio after all, and clouds go with the territory! The Cuyahoga Astronomical Association would like to thank the following vendors for their generous contributions to our recent convention. Their donations of raffle items helped to make the event such a great success. This entry was posted in Uncategorized and tagged Letha House Park, otaa, otaa convention. Bookmark the permalink.